Prayer and Fasting — and Us. Prayer, fasting and almsgiving. These are the themes of the holy season of Lent, the 40 days in which Christians prepare for the great feast of Easter, the holiest day of the church calendar year. But these practices are not exclusive to Christians. Fasting can be found in just about every great faith tradition, including Judaism, Hinduism, Islam and Buddhism. Since ancient times, fasting has been used as a source of spiritual purification. Not unlike the practices of “cleansing” that are currently in vogue. If you ask anyone about fasting as a contemporary practice, perhaps the first people who come to mind are our Muslim neighbors, who spend the month of Ramadan abstaining from food and drink in the daylight hours. Theirs is an act of solidarity with the poor, with all who do not on any given day have sufficient food. This same idea underpins the Lenten fasts of Christians. By giving up whole meals, or by abstaining from butter, sugar or meat, a household might save money that could be passed on to those in need. If you enter churches built in prior centuries, it’s not uncommon to find a “poor box” in the narthex, the entrance foyer. My introduction to fast and abstinence came as a child. As Catholics, we were encouraged to “give something up for Lent” by our priests and teachers. For kids, that choice was often candy, ice cream or soda pop. My mom would always make meatless dinners on Fridays, usually macaroni and cheese or ziti parmigiana. But what did I learn, really, if I’m honest? We were almost never given soda to drink (maybe a birthday party!) and certainly didn’t have access to candy or ice cream. And those casseroles (I grew up on the East Coast; here we would call them hotdish!) were absolute favorites of ours! No sacrifice there, whatsoever! For my parent’s generation, the focus on the fast — the means — had in many ways displaced the “ends” — sharing more generously. Unlike my immigrant grandparents, who fasted for every day of Lent, the “new rules” introduced in the 1960s were more flexible and in some ways more compassionate (for example, elders and young children were no longer expected to fast). While the bishops emphasized fasting and its critical connection to almsgiving and prayer, people focused more on the changes in the “rules” rather than the continuity of meaning. So I’ve been wondering: How should we relate to fasting and abstinence now? Somehow, serving my family a sumptuous fish dinner seems to miss the mark. I’ve been thinking, certainly, of how our household might be more financially generous. Maybe the extra giving can come from places I indulge myself — like grabbing a sandwich out when I might have packed a lunch. Or popping into Caribou rather than filling my travel mug. I know that PROP Food Shelf, our local powerhouse for feeding those in need, will welcome my contribution, however modest it might be. This Lent, the fasting I’ve been thinking about most rigorously, though, is not food-centered. I’ve been thinking about fasting from behaviors that keep me from being the loving and peaceful presence my God and my community ask me to be. So words are involved. Fasting from the Facebook rant. Fasting from the quick retort or caustic dig. Fasting from gossip and criticism. Fasting from nagging and complaining. So this Lent, my fast focuses a bit more on what comes out of my mouth than into it. But I believe that both practices — giving up forms of spending so I can give more generously to those in need, and giving up behaviors so those around me experience less stress and more peace — fulfill the purpose to which Lent calls me. Which is moving away from self-centeredness and focusing myself on others and my God. The Rev. 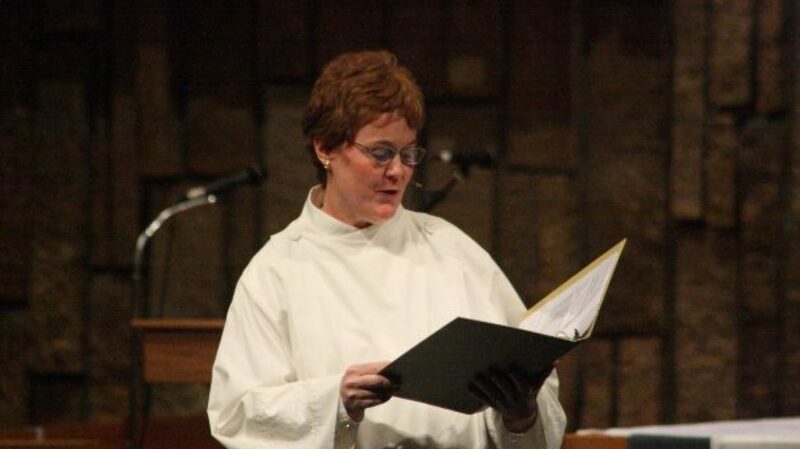 Trish Sullivan Vanni is the pastoral director of Charis Ecumenical Catholic Community in Eden Prairie. She shares this space with Bernard E. Johnson, Beryl Schewe, Rod Anderson, Timothy A. Johnson and Nanette Missaghi. “Spiritually Speaking” appears weekly.